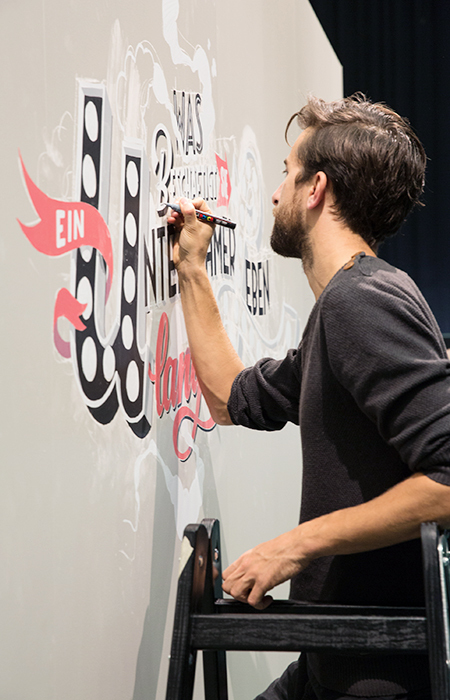 About – Tafelmaler Sign Co.
My name is Mathias Truniger and I like painting signs. The enthusiasm for writing and its design possibilities goes back to my early years of youth. The sweeping lines, clear contours and the expressive nature of letters fascinated me for more than 15 years. Through my film studies I’ve temporarily gotten off the track, but in the subsequent work as a Motion Graphics Designer, I was able to maintain an access to the topic. The birth of my son then triggered kind of a return to the things that are really important to me. The free writing in classical handwork and the direct contact with people delights my heart. With this work I am happy and deeply satisfied.